Britain’s Ministry of Defence (MoD) has been forced to ask the American military for assistance in searching for a Russian submarine in its territorial waters due to budget cuts. Two American maritime patrol planes have been conducting searches off the Scottish coast since News Year’s Eve. The MoD was forced to ask the US for help because of a controversial decision to scrap the Royal Air Force’s (RAF) £4 billion fleet of Nimrod surveillance aircraft in 2010. The suspected presence of a Russian submarine is believed to be linked to the recent departure of a British nuclear submarine from Faslane naval base at Gare Loch on the Firth of Clyde. 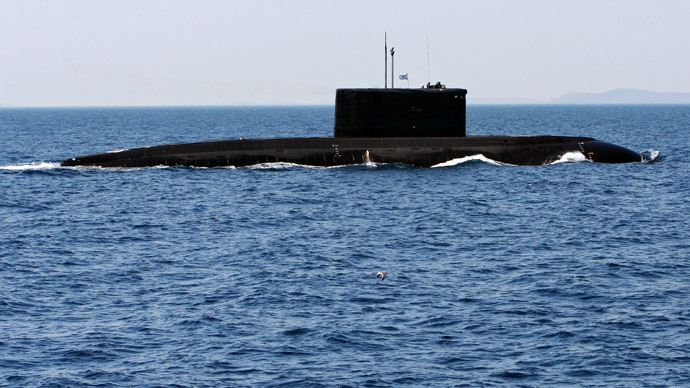 This search effort is the latest in a series of submarine hunts reminiscent of the Cold War. Sweden undertook a week-long search operation for a Russian submarine last October, which was canceled after they found no trace of its existence in the archipelago off Stockholm. A Russian convoy of warships entered the English Channel a month later, in November, to undertake military exercises. The British MoD monitored the vessels as they traveled through the Channel, as permitted by international law. “The ships were escorted by the Royal Navy warship HMS Tyne as part of her UK maritime security role and have now left UK waters,” an MoD spokesman said. US involvement in this latest operation follows the deployment of NATO maritime patrol aircraft last month in a similar search for a mystery submarine off Scotland’s west coast. That particular search was triggered when a fishing trawler spotted an unknown periscope in waters usually used by the Royal Navy. In this latest episode of what appears to be an ongoing game of cat and mouse, the US brought their surveillance planes all the way from Hawaii, according to an aviation photographer quoted in the Independent. The P3 Orion maritime patrol planes coordinated their search efforts with the anti-submarine frigate HMS Somerset. Peter Roberts, a senior fellow of the Royal United Services Institute for Defence and Security Studies, believes the deployment of HMS Somerset is related to the recent departure of one of Britain’s nuclear submarines. He added that Britain has been struggling to maintain security of its borders following the move to cut its Nimrod surveillance fleet. The MOD relying on American help to hunt a Russian submarine off the coast of Scotland due to coalition destroyed our capability to do so. The move to scrap the aircraft was promoted by ministers at the time as a way to save the MoD £2 billion. America’s military presence in the North Sea this week follows US Defense Secretary Chuck Hagel’s announcement last November that the US wants to be “very involved” in the Arctic region because the melting waters could open up new oil reserves. “That’s going to give many new opportunities to countries, to the world. That will come with new challenges as well. So the United States needs to be very active in this group and be very involved,” Hagel was quoted as saying by AP.